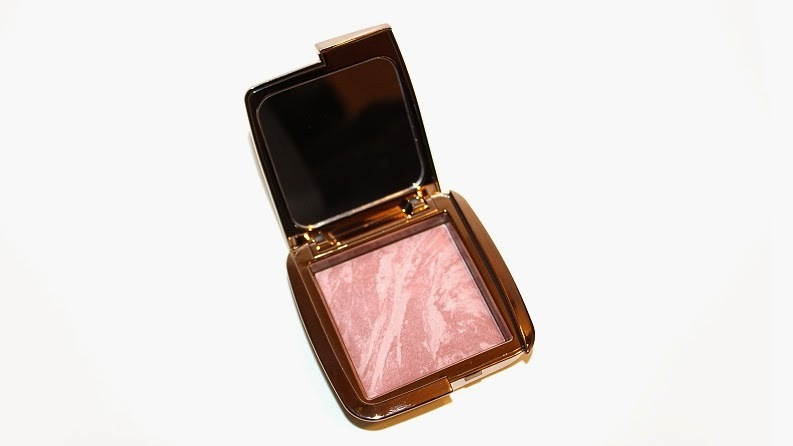 The Ambient Lighting Blushes (0.15 oz.) individually retail for $35 USD ($41 CAD) and come in 6 shades, of which I own 3. * Luminous Flush which is described as a champagne rose. * Diffused Heat which is described as a vibrant poppy. * Mood Exposure which is described as a soft plum. The packaging is super sleek, compact and features a mirror. 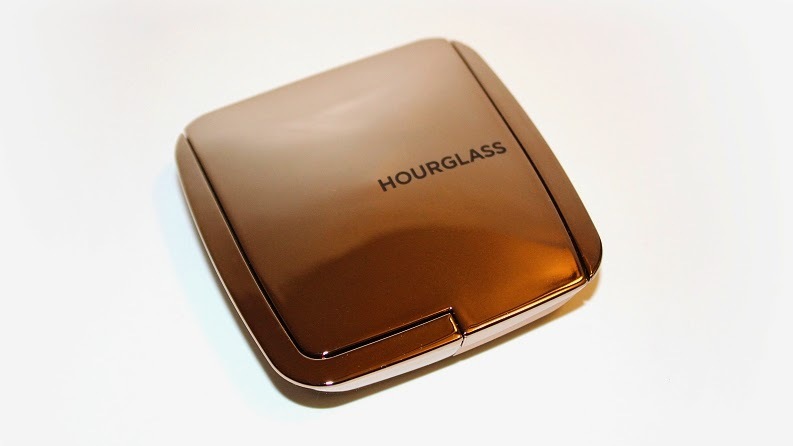 It's what you'd expect from Hourglass, a luxurious feel but be warned that this beautiful mirrored packaging holds fingerprints like nobody's business! The quality and texture is consistent in all shades. 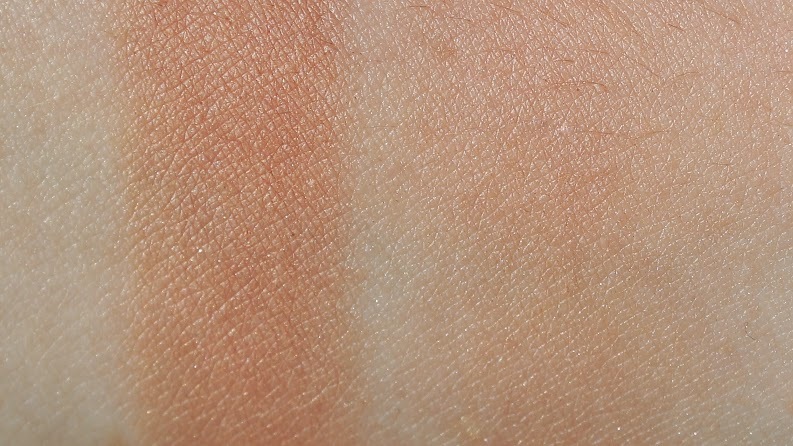 The way they apply and feel on the skin is very similar to the Ambient Lighting Powders. They are soft, silky, finely milled, delicate and leave the skin looking luminous and radiant. 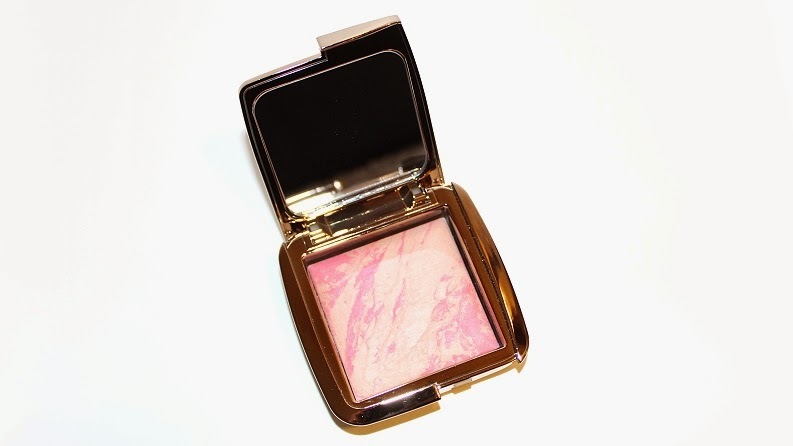 Because the Ambient Lighting Blushes are so soft and fine, you may want to use a rather light hand when pressing your brush into the product, it's very easy to pick up too much. I found a fluffier blush (like a stippling or powder brush) worked best for applying as a regular blush brush was far too dense and made it difficult to diffuse the blush properly. 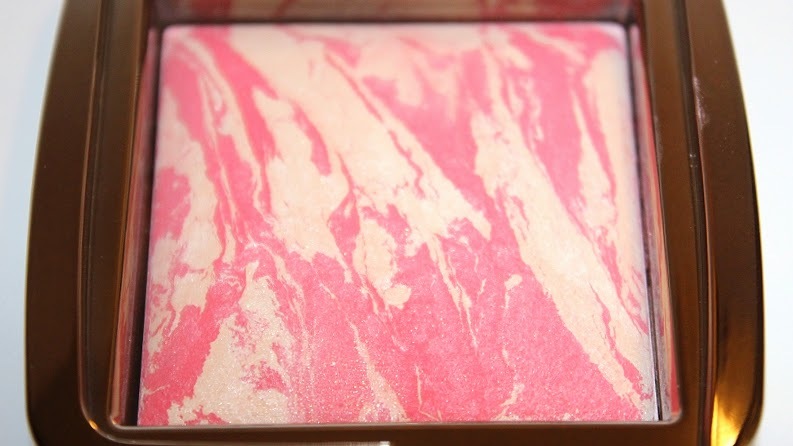 The marble effect of color and powder when swirled together apply true-to-pan. They do add a nice glowing hint of color to the cheek. 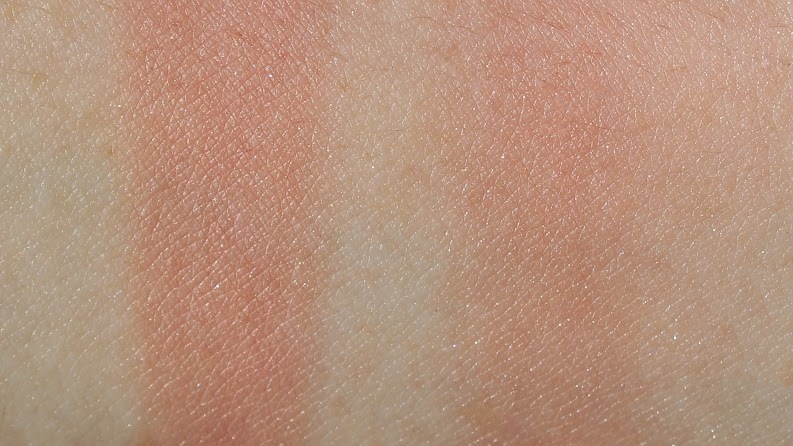 With that said, depending on your skin tone some of the lighter shades may not work as a blush for you. Luminous Flush is a pinky coral with warm undertones and very find gold shimmer. 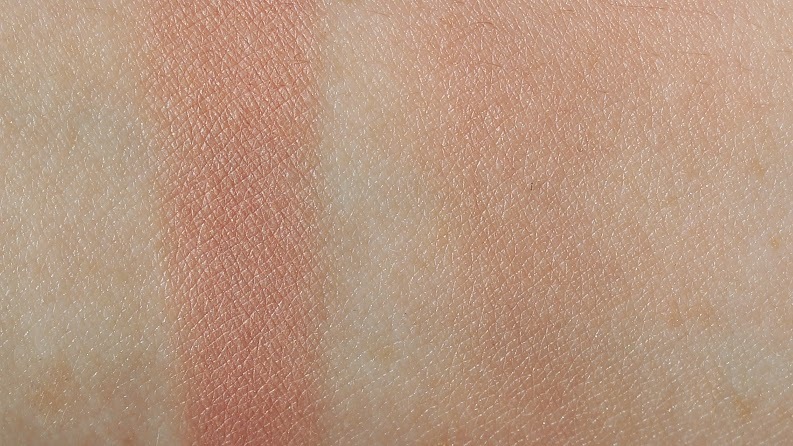 This blush applied pigmented (true-to-pan), smooth, silky, blended out nicely and could be built up or toned down easily. I found this particular shade to have slightly less noticeable shimmer and have more of a satin finish when applied to the skin. 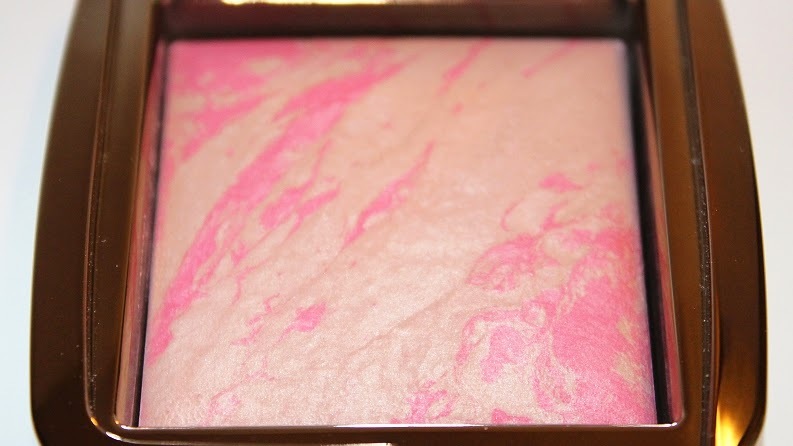 Diffused Heat is a soft, medium pink with warm undertones and a hint of very fine shimmer. 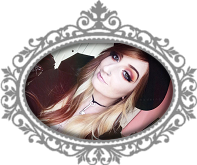 This blush applied pigmented, smooth, silky, blended out nicely and depending on your preference you can build the color up or tone it down easily. Mood Exposure is a dusty rose plum with a satin finish. 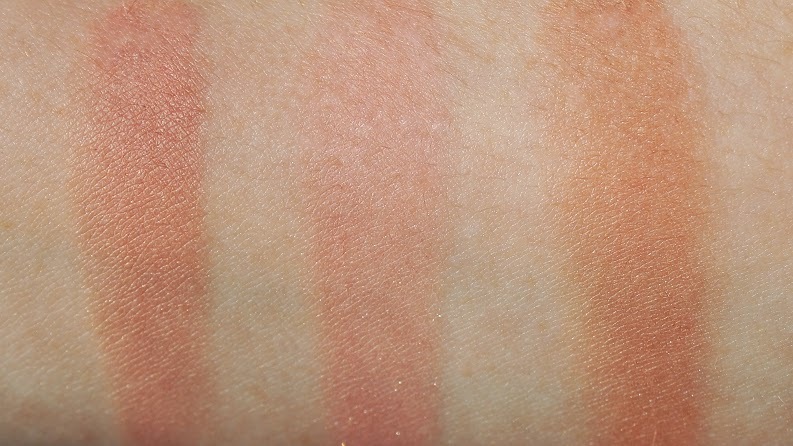 This blush looks slightly cool toned in the pan, but when applied to the skin it has visible warmth to it. 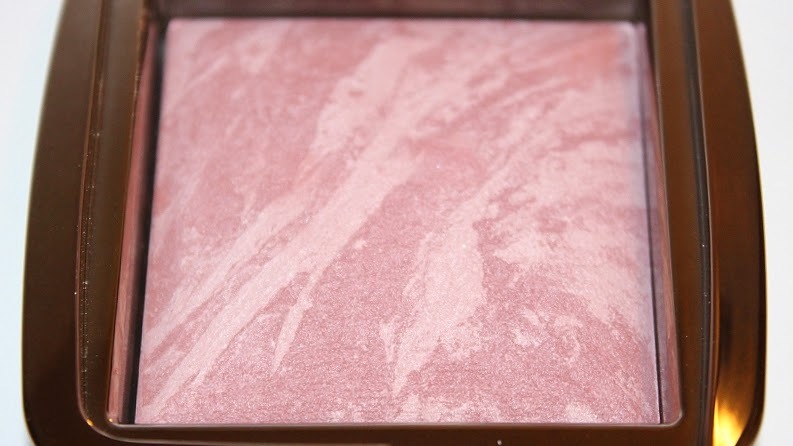 This blush has great color payoff, it is smooth, silky, blends out nicely and like the other three blushes, can be built up or sheered down depending on your preference. 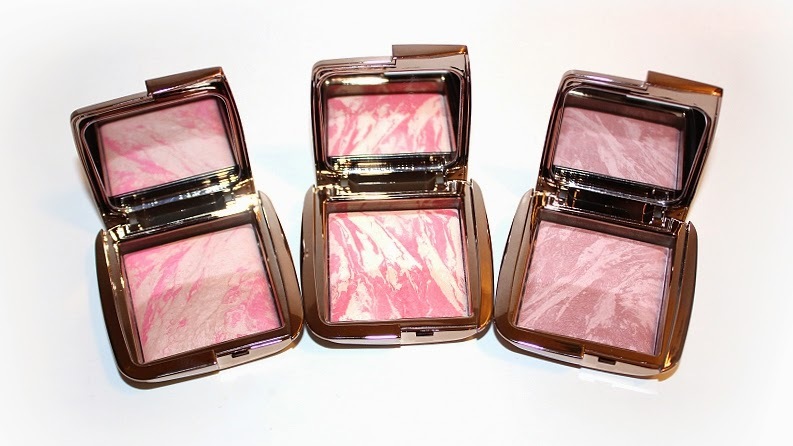 Overall these are luxuriously silky blushes. All three held up well over +7 hours before showing any noticeable fading. Although some do have very fine, subtle shimmer to them I didn't find applying a highlight was overkill. Especially paired with the Ambient Lighting Powders. Can be purchased from Hourglass, Sephora online and in-stores.